Jessica Gleim is Evoz Director of Marketing and also a new mom. 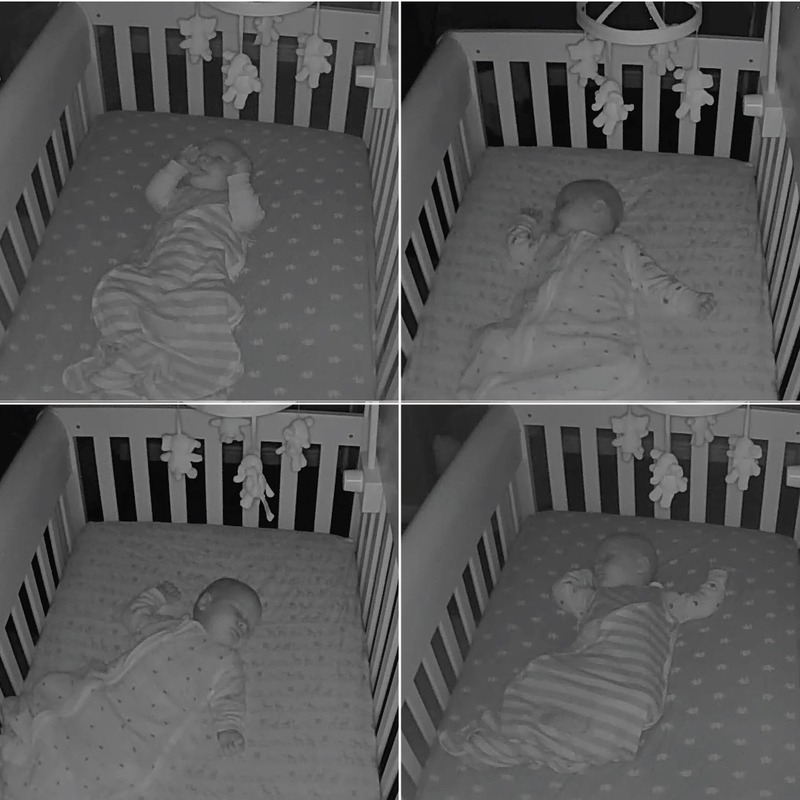 In the third in her series of reports from the trenches, her baby starts sleeping through the night. Yay sleep! When I was pregnant and checking out ALL of the thousands of things we could add to our baby registry, I really wanted a Halo Bassinet. I loved the design. It would fit nicely in our bedroom. I loved that it followed the AAP recommendations for safe sleep and SIDS (in my room, near me but in his own space, flat on his back). It was perfect…in theory. In practice, well, being a winter baby and living in a cold, dry climate, my son basically came out of the womb congested. Sleeping completely flat on his back didn’t work. So he spent the first two months of his life sleeping at night in a Rock n’ Play so that he could be slightly elevated and breathe more easily. We barely used the bassinet. But onwards! After about two months he started to sleep for longer stretches. It was glorious, but also nerve wracking, as my husband and I – by now accustomed to not sleeping more than two hours at a time – naturally assumed something was wrong with him! But sure enough, nothing at all was wrong, and he consistently started sleeping through the night, anywhere between eight and ten hours at a stretch. AMAZING. Unfortunately, my husband and I weren’t doing as well. The baby is a loud sleeper! We would lie awake with our little guy, listening to all the endearing-but-also-annoying snorts and grunts coming from the Rock n’ Play, and not sleeping ourselves. So I decided that it was time for him to sleep in his own crib, in his own room. Not without emotions and worry of course. Was he old enough to be in his own room? Would he continue to sleep through the night in his crib, in that new environment? We decided to give it a try. So off he went to his crib. That first night we turned on his sound machine, put him in his sleep sack drowsy but awake, kissed him goodnight, and shut the door. And then sat side by side on our own bed for the next two hours, each glued to our phones, watching our baby in the next room as he slept peacefully. How ridiculous we must have looked! I couldn’t decide if I should cry or not. On the one hand, it felt like such a huge step making him sleep in his own room – surely our tiny baby couldn’t be that old yet? But on the other hand, I had spent the past two months so desperate for rest, and now I could get it – what a relief! So that’s my month three story. Success! I’m so relieved the transition to the crib went smoothly. 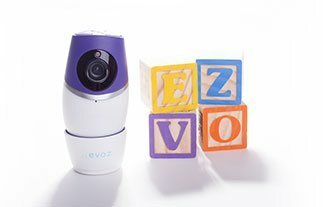 And I rest easier knowing that our Evoz Smart Baby Monitor has my back. 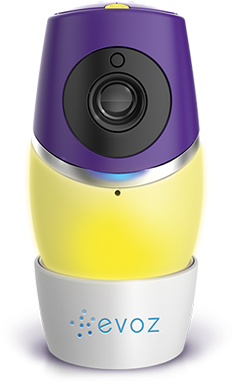 As you can tell, it played a big part in the smooth transition, reassuring us worried parents that our baby was indeed safe and sound. 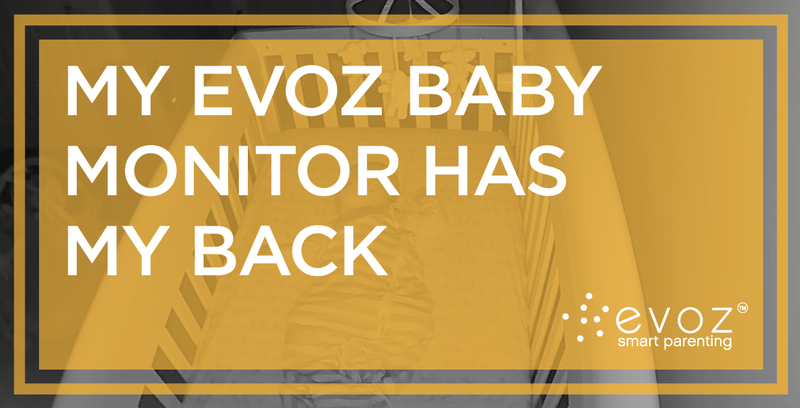 And when I finally did convince myself everything was ok and I could go to sleep, I could rest even easier knowing that the monitor would send an alert to my phone if the baby cried and I didn’t wake up. Of course, he’s only in the next room, so I’d hear him anyway, but I was really tired!